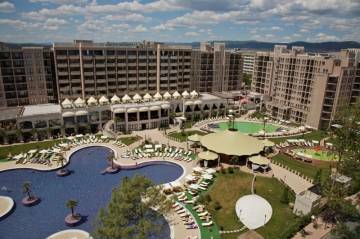 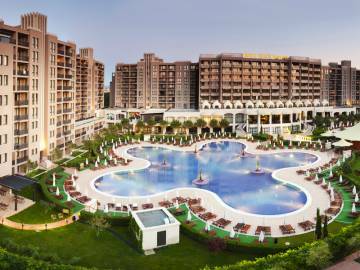 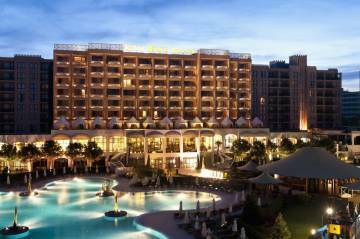 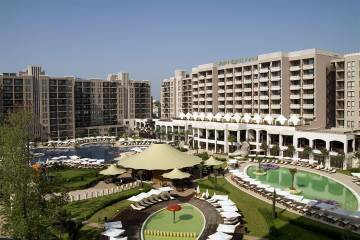 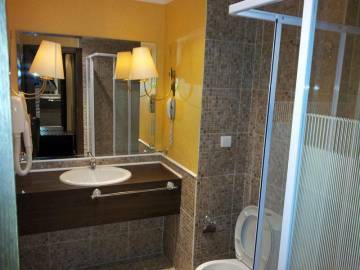 Royal Beach**** is a five star complex located on an area of 25 000 sq m in the heart of Sunny Beach, only 50 meters to the beach. 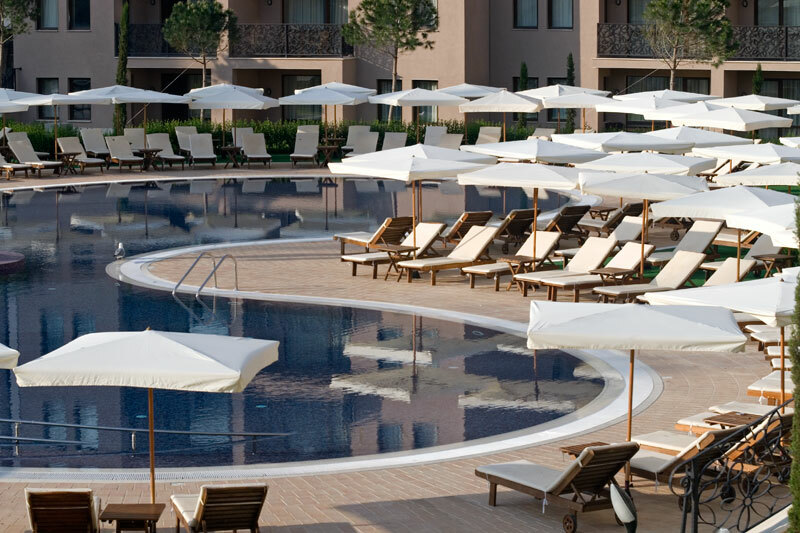 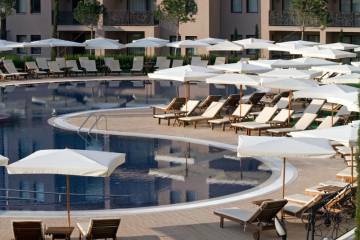 The complex offers three swimming pools, a children’s playground and a garden with an area of over 9 decares. Numerous entertainment options are a further guarantee for a perfect holiday: 6 theme restaurants and confectioneries, a piano bar and a lobby bar. 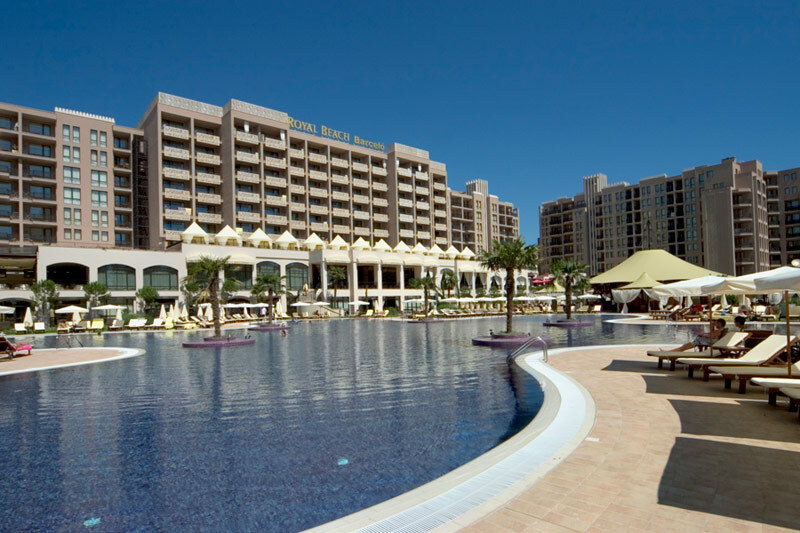 The Royal Beach Barceló Complex is remarkable for its picturesqueness and five-star luxury, which have made it the new paradise place of Sunny Beach Resort. 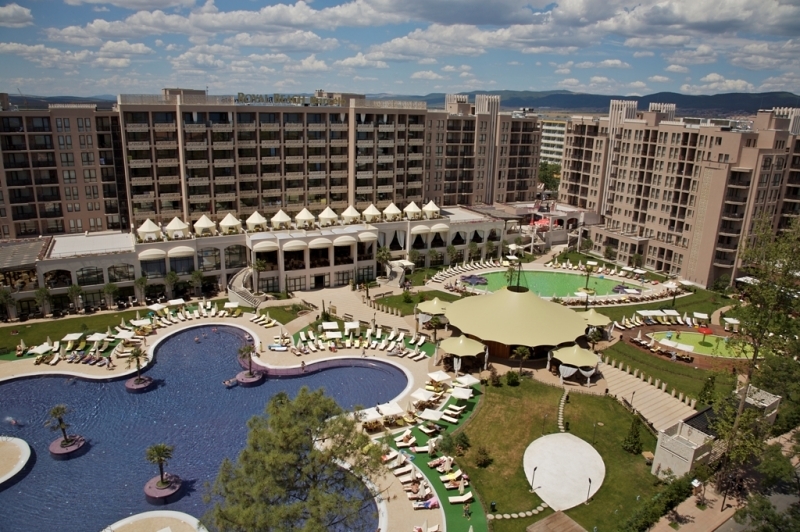 The unique SPA centre in the complex is located on an area of nearly 2000 sq m and includes a huge indoor swimming pool, a Turkish bath and all kinds of massages, and a number of saunas. 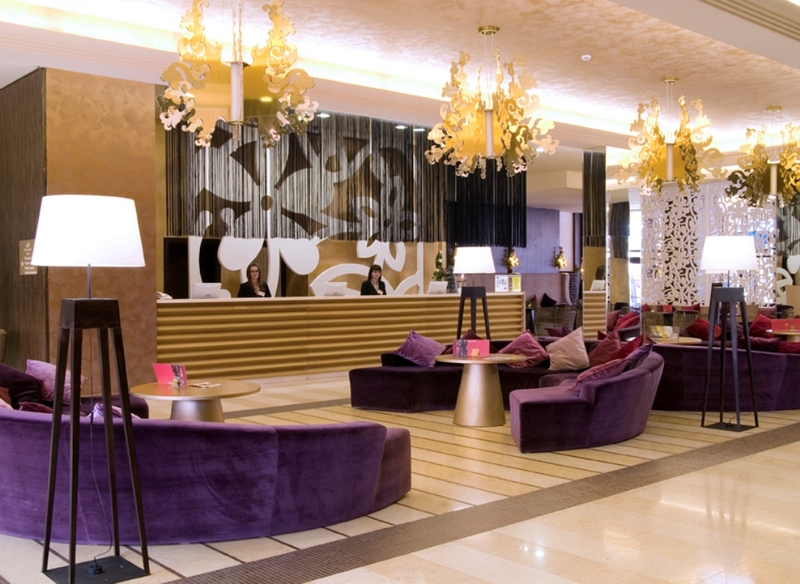 The relaxation beds in the form of big palm leaves on which the guests of the centre can relax after the procedures and refresh themselves with a cocktail from the vitamin bar are unique in design and a favorite attraction for all visitors of the Royal Beach Spa. 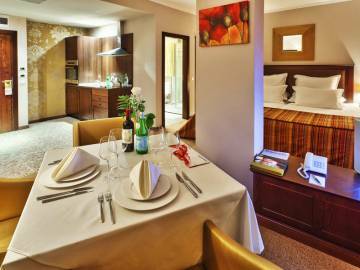 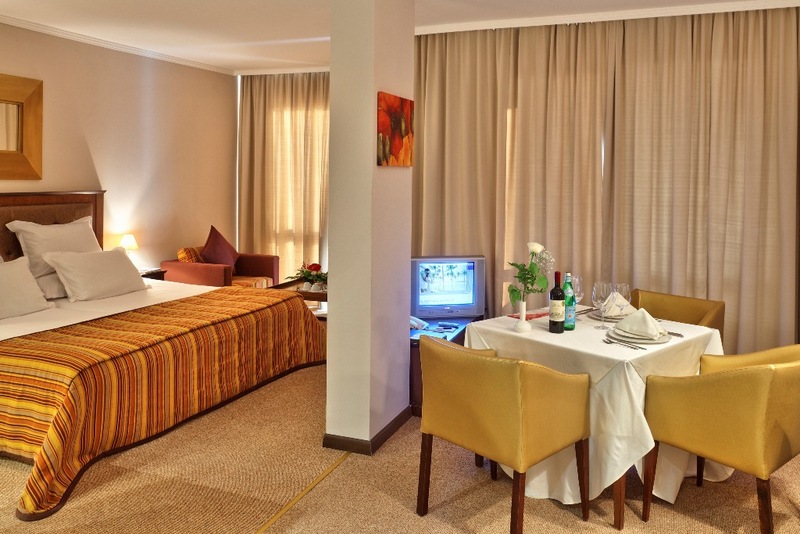 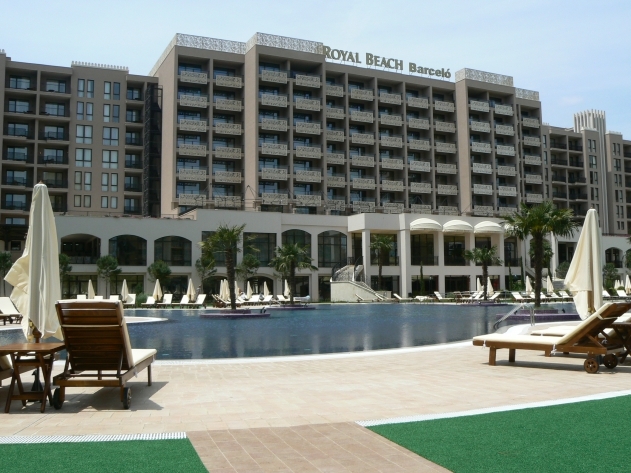 For business meetings and conferences, the Royal Beach Complex offers to its guests several conference rooms. 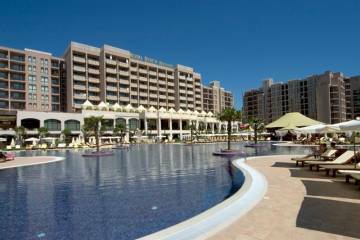 The cosmopolitan atmosphere of the Royal Beach Barceló Complex offers an exciting opportunity for recreation and shopping. 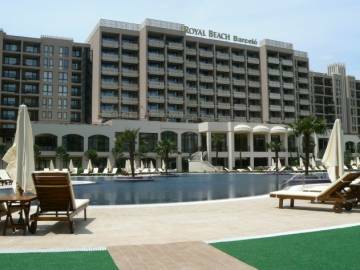 Royal Beach Mall, the retail centre of the Royal Beach Complex, located on the oldest retail street in Sunny Beach, is the greatest and the most modern mall along the Bulgarian Black Sea Coast. Here both owners and visitors have access to various and luxury stores. The mall accommodates over 140 stores, a number of cafes, a piano bar. 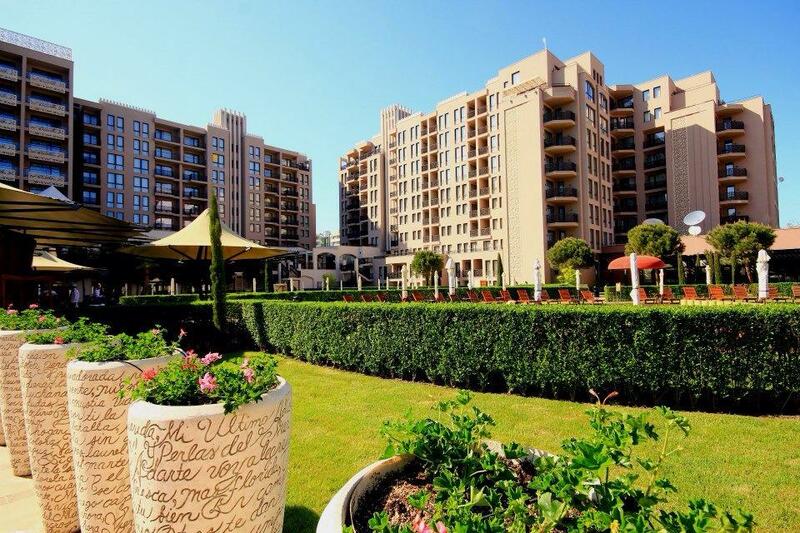 The property for sale is a modern and beautifully furnished apartment, which consists of a living room with a dining room and an open kitchen area, bedroom niche, a bathroom and a spacious balcony which enjoys amazing views over the sea and the swimming pool.